Jane Scrivner, the OO7 of skincare products and in my opinion, some of the best I have ever used and the 'OO' cream is a revelation. 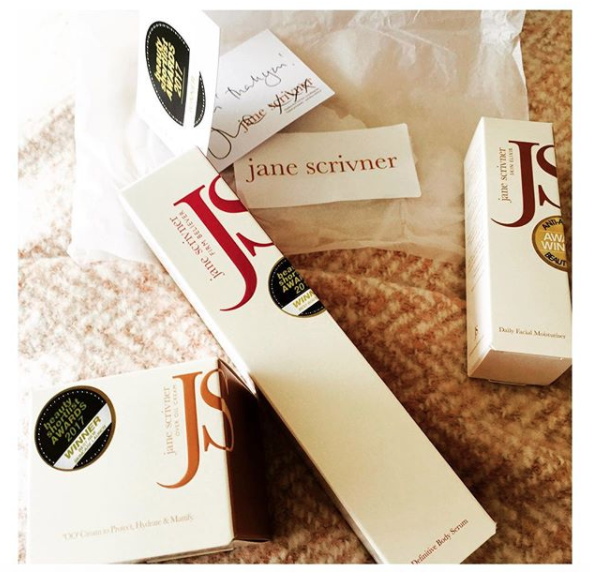 The Over Oil Cream is the safety helmet of the Jane Scrivner Skincare routine, tucked away in a 50ml pot, all sensible and secure awaits a cream the colour of carrots, stunningly orange and almost glistening in the pot. This combination of rosehip extract (my rosehip problems is fine, this blend I have no issues with or signs of irritation), aids skin renewal, Vitamin E is the barrier, protecting the skin, white birch bark gives us betulinic acid, this clarifies and tones the skin, this 'OO' cream locks in the skincare applied, so all the nutrients are sealed in place. The joy of this cream is the luscious colour, the creamy texture and the finish to the skin, which, although I had read it mattified and it does say it will mattify the skin, I have found that my skin is still slightly dewy, which I much prefer. It creates a film over the face, I always think of Star Trek and the cloaking devices they mention, it makes me smile as I cloak my skin and lock in all the goodness. A gloriously rich carrot colour, this barely looks like it has been used, so little is needed to lock in the skincare being used, I reach for this when I've applied serums and oils to my face. I also like to seal in any facial masks that I plan to leave on overnight. A beautiful skincare product, which can also be used as a moisturiser, multi-tasking products are a time and money saver. The range never fails, I haven't had one skincare item that hasn't given me great looking skin, using a small amount of product but showing healthy, glowing skin results. The post does not include affiliate links - pr, samples or GWP does not feature.